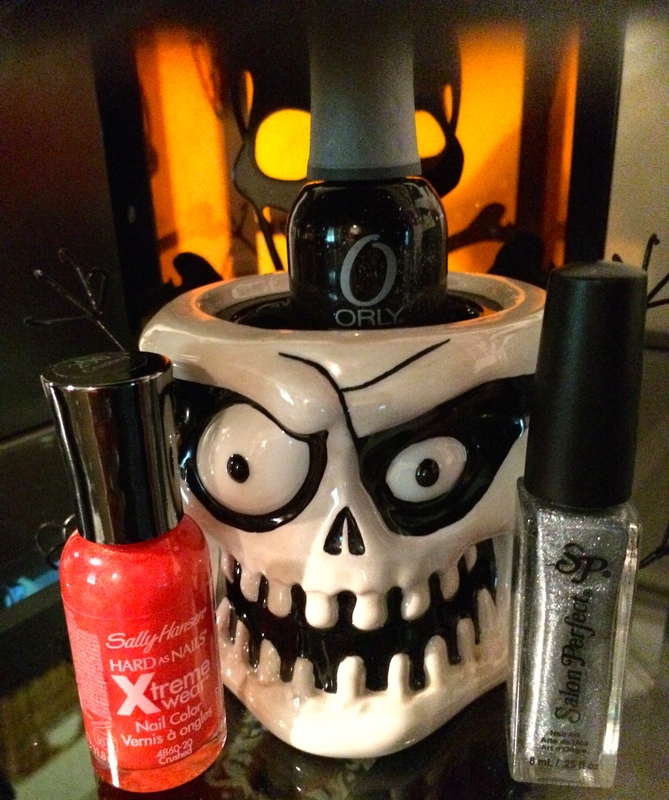 This entry was posted in FUN!, Mani Mondays and tagged caption, halloween mani, halloween manicure, hallowmani, mani monday, manicure, Orly, orly goth, sally hansen, Sally Hansen Crushed, Salon Perfect Silver Plated, Seche Vite, seche vite dry fast top coat. BOO!!! Here’s spooking at you, kid!!!! LOL. See what I did there? LOL. Hope you have a fantastic Halloween this year. What is the costume of the season for you and your feline troublemakers? Can’t wait to hear all about it. So is T-man gonna be Wolverine?? I am guessing he has the claws for it already. LOL. 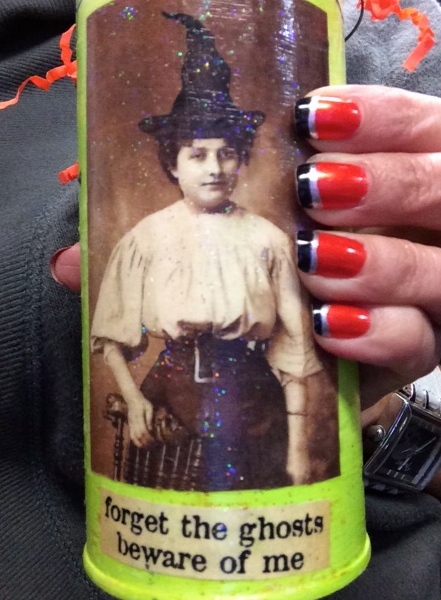 Be careful costuming the Pussies tho Jazz Hands. We need you back here to tell the tale. 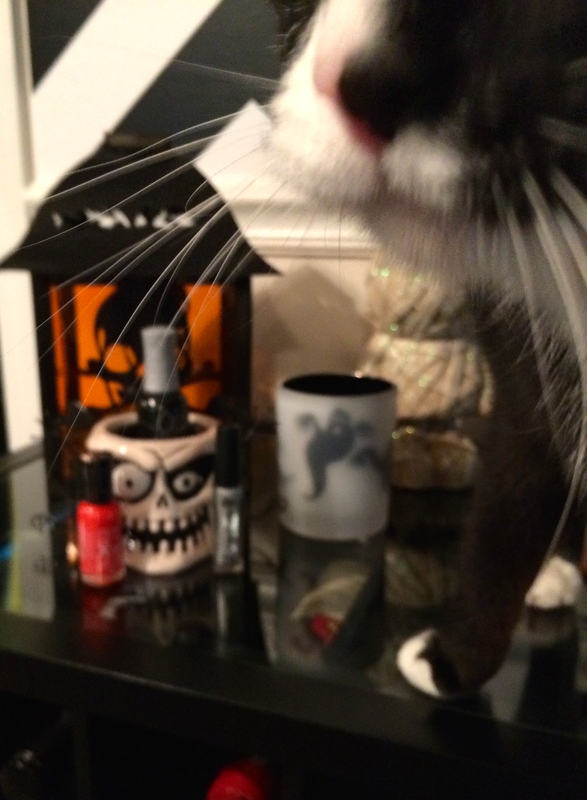 Yeah…I am slightly concerned with my abilities to wrangle two cats at the same time while trying to snap a selfie. This will be New New’s first venture in playing dress up…. Goodness his whiskers are long, he looks like a furry Wilfred Brimley. He looks like Wilfred Brimley but acts like Lloyd Christmas from “Dumb and Dumber”! Oh just a little hunch you had, I’m sure. Not that you know me very well or anything…! I just love Halloween. Especially all the slutty outfits the ladies wear! Ha! I’m sure you do love the slutty outfits. I typically skip the slutty and go as a guy…hence Kid Rock. 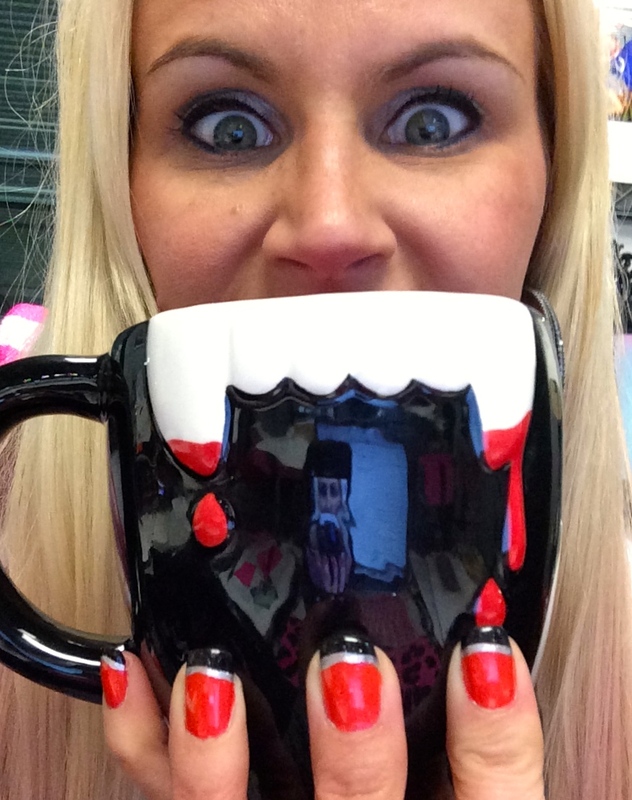 Hi Queen of Halloween, love your nails and I’m still celebrating Halloween, adore the atmosphere and all the things what have to do with it 🙂 🙂 ! Isn’t Halloween the best? I love everything that comes along with it (obviously) and am now looking forward to putting up my pink Christmas tree! I’m glad to know you like to stretch a holiday out, too!